Across the pedestrian crossing to the Blacket building on the corner of George and King streets. All the window filled with ‘Now Leasing’ signs. A little hard to see in the small version, but an interesting tile of text in red and green. 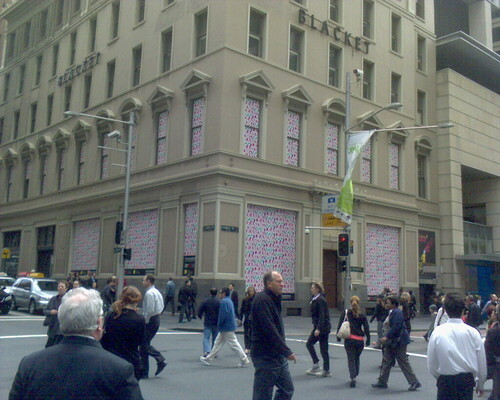 This entry was posted in Photos and tagged CBD, photo, Sydney. Bookmark the permalink.